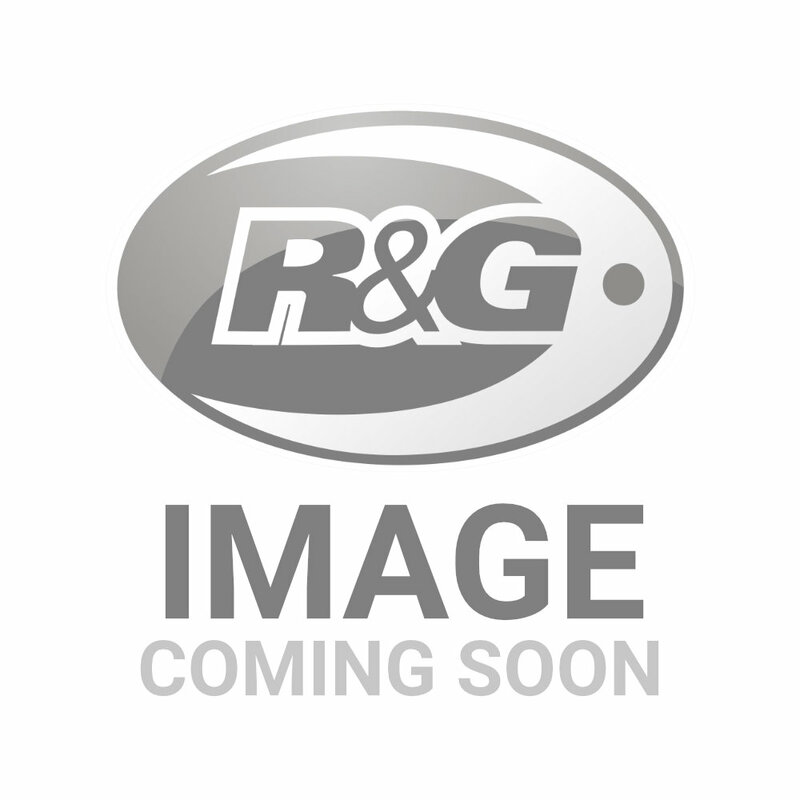 Scorpion utilises the latest technologies and extensive R&D in the development and manufacture of its exhausts. Its experience in high-level motorsport, BSB (British SuperBikes), amongst many others allows it to develop high-quality, durable and performance-enhancing products. Utilising aerospace-grade materials such as stainless steel, carbon fibre and titanium in their construction, Scorpion exhausts evoke both passion and performance, drawing from over 20 years at the top of motorsport tuning and racing successes. Scorpion exhausts embody Scorpion’s drive for continuous engineering superiority, quality and performance refinement, and above all, for the sheer enjoyment of riding. 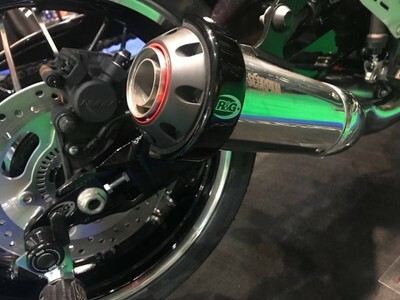 Handmade in the UK by Scorpion's team of top exhaust builders Scorpion Exhausts are available in a range of styles, including CARBINE, FACTORY, POWER CONE, RP - 1 GP, SERKET, SERKET taper, STEALTH & TAGMA. And available in the following material finishes: Stainless Steel, Carbon Fibre, Titanium, (Each available with optional Carbon Fibre exhaust outlets). So no matter what your style, there's sure to be an application to match. 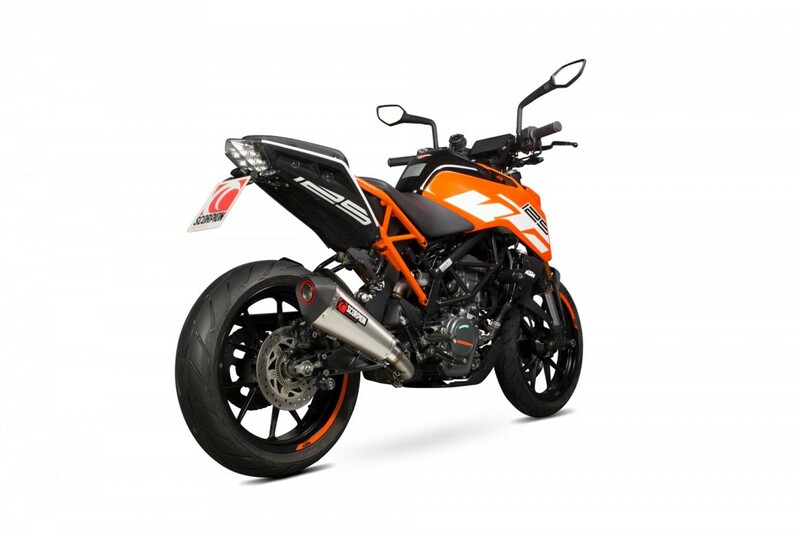 This specific Scorpion slip-on exhaust fits the KTM 125 Duke '17- models in the "Serket" style. 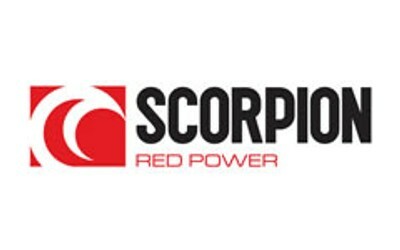 R&G is a proud stockist of Scorpion Exhaust Systems. A few FAQs for Scorpion exhausts.